This article was originally published in CentSai. Cary Carbonaro: I saw that my dad made the money and my mom stayed home. I wanted to be the one who made the money. I also saw the dynamic of fighting over money. The parent who had the money seemed to have more control over decisions. I also learned the value of budgeting. I got an allowance and learned when to save, spend, and gift. Being able to budget was an amazing skill. It’s lifelong, and everyone needs to know what’s coming in and going out. Even kids need to learn the value of a dollar and sacrificing to save for what you want. For example, if I wanted a Barbie and my allowance was $5 a week, I would save $1 a week for 12 weeks to get that $12 Barbie. It is kind of like the marshmallow study done at Stanford in the ’60s. It is all about delayed gratification, which is a big lesson to learn early. I’m an excellent budgeter. I have always spent below my means. I always say that if you spend less than you make, that is where financial freedom comes from. Most people think that a budget is . . . like a diet. But it’s not about not spending — it’s about spending less than you have. It is the most important lesson to learn and to teach children. Credit cards were an invention for convenience, but unfortunately they get many people to overspend. It comes back to learning to delay gratification. If you can’t pay your credit card balances off in full when you get the bill, you can’t afford it. A person should either pay cash, not buy the item, or save up so they can pay their credit card balance off in full. Renick: If you could only teach a child one money habit, what would it be? Carbonaro: That money doesn’t grow on trees. Kids need to know the value of a dollar. When my nephews ask me for an Xbox, I make them do math. I have found that it’s one strategy that helps them develop a better understanding of the value of money. Then I might ask them questions like, “How many hours would you have to work at minimum wage to buy it?” If minimum wage is $7.25 an hour and the Xbox costs $269, my nephews figure out they would have to work 37 hours to buy the Xbox. 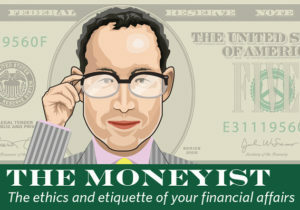 Renick: Cambridge University research indicates, adult money habits are set by age seven? 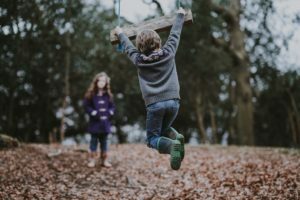 What if the research is wrong and adult money habits are formed earlier than age seven — perhaps around the age the “give mes” set in? What does this mean for families, schools, and the financial education industry? Carbonaro: It’s like the marshmallow study at Stanford in the ’60s and ’70s. It’s all about teaching about delayed gratification. Also showing why waiting to spend will be worth more in the future (i.e. the time value of money). At that young age, it helps if you gamify these topics. Maybe there’s an app for that. I also believe children learn by watching positive and negative examples from adults in their lives. I was recently with my niece, and she told me that a person is “soooo” rich. She said that they have a big house and expensive cars and clothes. I said that you don’t know that person has wealth. What if they borrow all their money and have high credit card and mortgage debt? I said you have to look under the hood and see their assets and liabilities. I explained that that’s what you own and what you owe. Some people who you might think are rich might actually have a negative net worth. I think I may have blown her mind! This article was originally published in KBK Wealth Connection. We are celebrating Financial Literacy Month at KBK Wealth Connection. 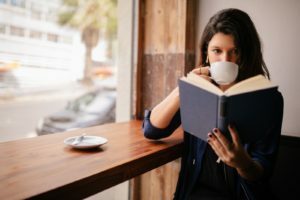 April was officially declared Financial Literacy Month in 2003 by Congress and I want to share some of my favorite books that will help you improve your financial literacy. Great book for parents who want to empower their children at various stages of their development. Aging talks with our parents and our partners can be challenging. A great book to spur conversation and learn together. 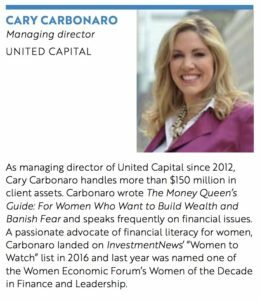 For the woman who wants to be more proactive about her finances but is uncertain how, Cary shows you how. 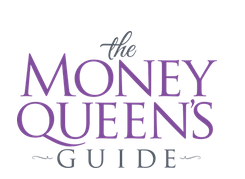 A wonderful blend of financial psychology and concrete know-how to help you feel more balanced in your relationship to money. MarketWatch: Should we divorce so my husband can get more Social Security? This article was originally published in Investment News. Australia’s money culture diverges from the U.S.’s given its higher standard of living and stronger retirement saving system. Earlier this year, I spoke in Australia at Real Women Global, a women’s empowerment organization, about my experience as a woman in the financial services industry. During my travels, I met fellow certified financial planner professionals from many major regions in Australia. 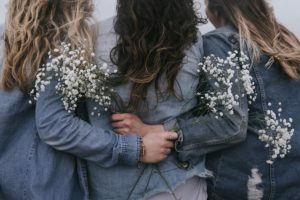 Although we share many similarities, I discovered real cultural distinctions in how Australians save and invest, and how women find their way in the world of finance. Much like their American counterparts, Australian advisers focus on goal-setting and retirement. In Brisbane, I found women who echo the financial life management ethos increasingly adopted by forward-looking advisers in the U.S. Called “goals coaches,” they focus on making clients feel safe and comfortable with engaging in financial planning. These “soft skills” prove to be increasingly relevant in our industry. As FinTech advances automate more asset management activity, it is incumbent on advisers to show their value by helping clients with big-picture goals and problems. I would love to see more Australian-style goals coaches here in the U.S. The CFP certification is a mark of distinction in Australia as it is in America (CFPs are recognized in 26 countries across the globe, according to the Financial Planning Association of Australia). There are about 5,500 CFP professionals in Australia’s population of 23 million, proportional to the approximately 79,000 or so CFP professionals who serve the 319 million people in the U.S., according to the CFP Board. Our money cultures diverge in Australia’s higher relative standard of living and superannuation, a retirement vehicle with stronger governmental support. Every employer must contribute a minimum of 9.5% of an employee’s wages for retirement. An average Australian can expect about 20 years of retirement based on employer contributions to their superannuation. A large amount of Australian’s net worth is in their homes, while their health insurance costs are generally lower. Most financial planners in Australia make a significant portion of their revenue on mortgages. Their interest rates on CD term deposits are extremely high at about 2%-3%, compared to U.S. CDs, which earn less than 1%. Australians have a high standard of living — in 2016, annual earnings were approximately $78,832 a year in U.S. dollars. If overtime and bonuses are included, it’s $81,947 per year, according to the Australian Bureau of Statistics. • Their minimum wage is one of the highest, at $18.29 an hour in Australian dollars, according to the Australian government’s Fair Work Commission, which comes to around $14.30 in U.S. dollars. Advisers counsel clients in debt, which means they can work with anyone. They work a lot on cash flow because most people have money in their superannuation and in their home. Australians spend much less for insurance than we do — approximately $300 a month for a family plan. Most hospital visits cost more out of pocket. A two-day hospital stay and operation generally costs $20,000. Long-term-care insurance does not exist. In my conversations with advisers, they could not believe we even had that as an option in the States. They shared stories of many people having to sell the family house and deplete their assets to pay for nursing home care for an older member of the family. Australian advisers have to have their clients re-sign an agreement to work with them each and every year. As I am accustomed to dealing with American 401(k)s, the more robust contributions to Australian superannuations surprised me. Employees can make voluntary contributions (though the Australian Uber drivers I met did not), but employers are generally obliged to put away 9.5% for every employee. This figure is expected to go up to 12% in 2019. Australia does offer an old-age pension, comparable to the U.S.’s Social Security, if you have less than $400,000 in your superannuation. Australia wants every resident to have a “comfortable” retirement, which equates to approximately $66,000 a year. Workers are paid so much that in the middle of the 2017 Australian Open finals, as Roger Federer played against Rafael Nadal, they shut down the concession stands. I could not believe my eyes. I was told they were done for the day, and that it was cheaper to shut down than continue to pay the workers. Australia’s housing market is heating up, like the U.S.’s. There’s been a recent surge in Australian house prices, thanks in part to an increasing number of foreign homebuyers, who accounted for more than 20% of property purchases each year, according to the Sydney Morning Herald. All real estate transactions in Australia are done by auction, rather than a regular sale. While the recent influx in real estate is noticeable, the debt ratio is very high. The average price of a home is $600,000, so most have to be leveraged. Prospective homeowners borrow four times their salary for a home, according to Canstar, Australia’s biggest financial comparison site. Housing prices in Australia’s two biggest capital cities, Sydney and Melbourne, are between 25% and 30% overvalued, according to ABC News Online. The 2008 global financial crash only temporarily halted the climb of Australian housing costs, compared to some markets in the U.S., like Florida and Nevada, where prices dropped as much as 40%. At Real Women Global, I was asked whether I have children. When I told them about my grown stepson, most of the attendees said there was no way I could have had my career and had children. In Australia, they said, women have to make a choice because they can’t afford nannies, a luxury reserved for the wealthy. In Australia, it is either high-powered careers or kids. Australian women, like those in the U.S., lack easy access to highly credentialed female advisers. I was curious to learn how many women were CFPs, but couldn’t get statistics. But there are estimates that 20% of Australian CFPs are women. About 23% of U.S. CFPs are women, and that percentage has gone unchanged for the last decade, according to The Wall Street Journal. Australians do not generally practice a “Take Your Daughter to Work Day,” nor do they have a variety of strong female voices in personal finance. The women I met reacted with surprise when I told them to take ownership of their own financial future. While they told me they loved credit cards, most of the women I spoke with didn’t have them. While Australian investors enjoy real advantages and face distinct challenges compared to their U.S. counterparts, their motivations are universal. They want to be free from debt and money worries. They want to give back to the world around them and live better lives. They want to make sure their families are OK. I believe that we should never pass up an opportunity to see financial planning through the lens of foreign cultures. We can celebrate and learn from our differences and build bridges through our similarities. 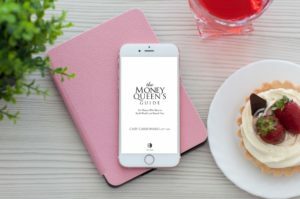 On this show, George Grombacher talked about the financial challenges facing woman with Certified Financial Planner (CFP®) and author, Cary Carbonaro. Listen to find out what Cary thinks both woman and men can do to be more financially successful! This article was originally published in Grow- from Acorns. 1. You should… spring for (or wear) an engagement ring. 2. You should… splurge on a blowout wedding. 3. You should… buy a home. 4. You should… pick a profession you love. 5. You should… lease a nice car.